health care costs, are increasing the incidence of hospitals filing for bankruptcy. When possible, particularly when alternate health care facilities are not available, creditors will allow a hospital to continue to operate under Chapter 11 bankruptcy protection while they reorganize. When a hospital files for bankruptcy under Chapter 7, however, it is generally required to immediate cease operation and to liquidate its assets as quickly as possible in order to repay creditors. While hospital closures often create local health care gaps, liquidations benefit other institutions and facilities that require high-quality medical equipment. 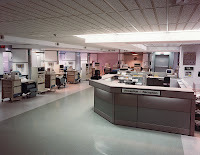 Liquidated hospital equipment is generally well-maintained. Because health regulations often require that equipment be replaced fairly frequently, the equipment that is sold under liquidation is often relatively new. Equipment from liquidation sales may include sophisticated imagining devices such as MRI, PT and CAT scanners, as well as ultrasound machines. Basic equipment, including full operating rooms, sterilization stations and furniture for patients’ rooms and waiting areas are offered in quantity. For hospitals that are financially pressed, liquidation sales provide a cost-effective way to upgrade their physical plant at a fraction of the cost of new equipment. Purchasing maintenance contracts for sophisticated or complex equipment mitigates the risk inherent in purchasing used equipment, while still significantly reducing overall expense vis a vis new equipment. Hello, I love reading through your blog, I wanted to leave a little comment to support you and wish you a good continuation. Wish you best of luck for all your best efforts. hospital furniture manufacturers in Delhi, hospital furniture supplier in Delhi.